Cloud services are taking over all of our work and making it available anywhere you go, so why not create a personal cloud that is ‘Brandable’ as well? Here is the review of all new Android app – Cloudike! Cloud storage is a need of almost every consumer who uses computer, smartphones and many other connected gadgets, but we have to depend on several services to store and access data for various purposes. This Android will app can totally remove your dependency on third party services like iCloud, Sky Drive or Google Drive. You can create your personal could space, that is accessible only for your family, friends or employees, as per your needs. So this can totally be used as a private cloud solution for home and office uses, but for that you need to upgrade to OEM solutions. For creating a demo account you must contact sales@cloudike.com via email and you are good to go! Apart from its impressive accessibility, there are every feature you can expect from a cloud services. You can create folders, access files directly on cloud players like image/video player, even MS Word and Excel files are automatically detected and ready to be accessed from Cloudike. Cloudike is great for small to large scale organization to create a cloud based service for their existing and new customers, and engage witht their open API to highly customize it. But for regular users, this can serve as great free online storage for photos and documents for up to 2GB of online storage. 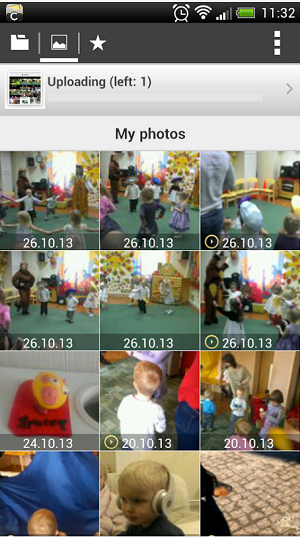 You can use features like camera uploads to send your photos on cloud instantly. 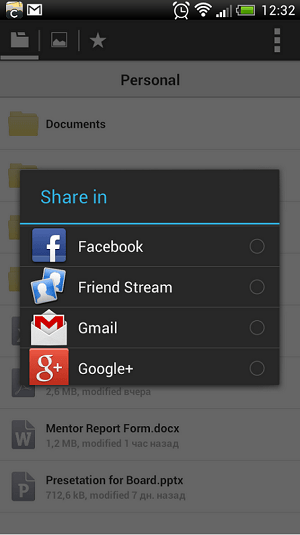 Sharing the files online for public viewing is also possible with this app. Zabuza Labs Launches ‘Save Trees – A Game for Social Cause’ on Android!